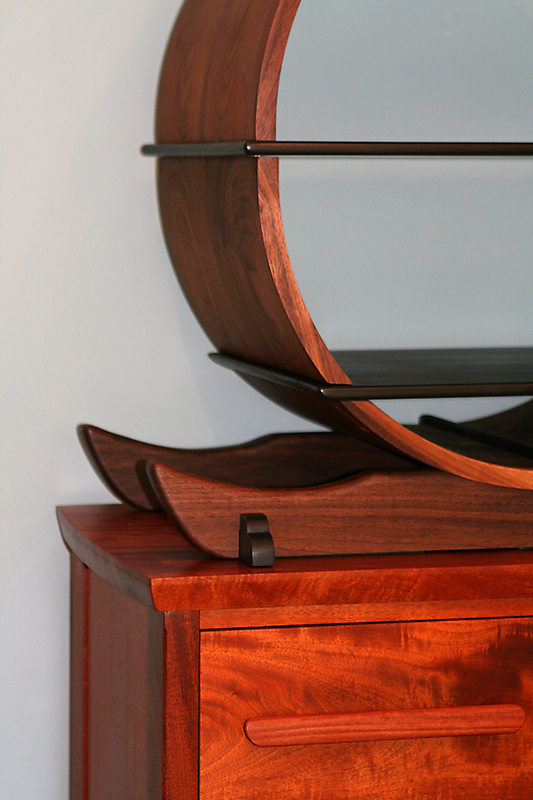 The shelf unit placed on the mahogany chest of drawers. 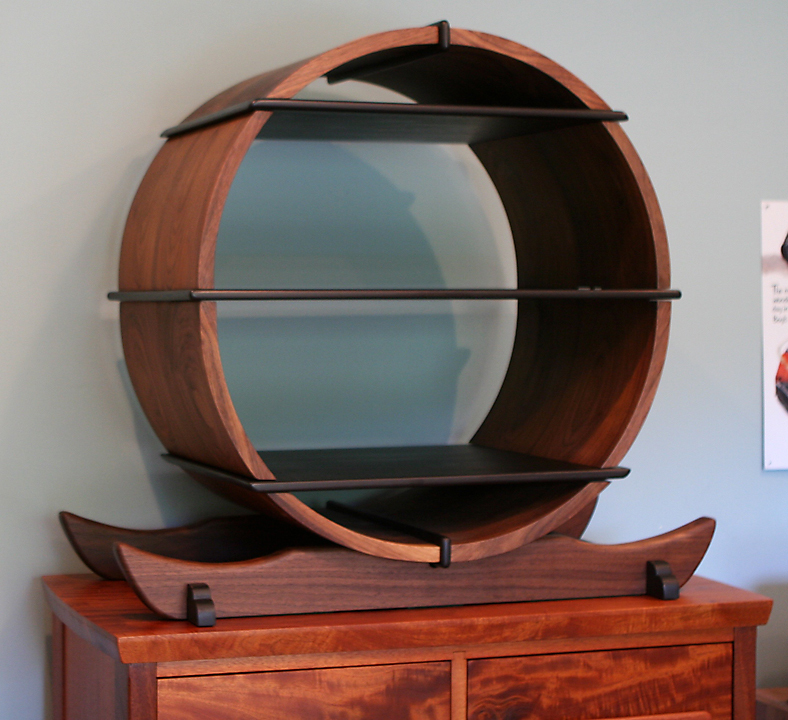 The circular shelf unit is completed. 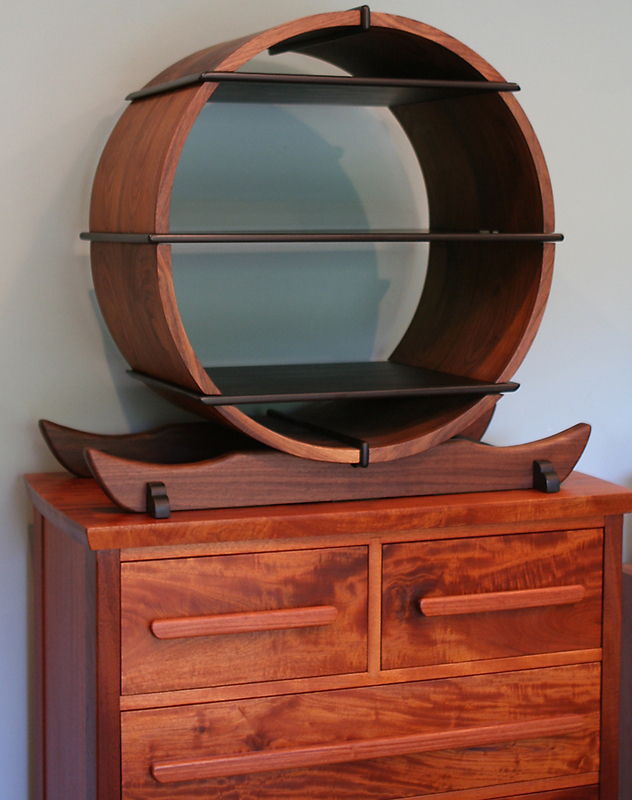 For now it is on the mahogany chest of drawers, but I plan to design a lower cabinet for its ultimate resting place. 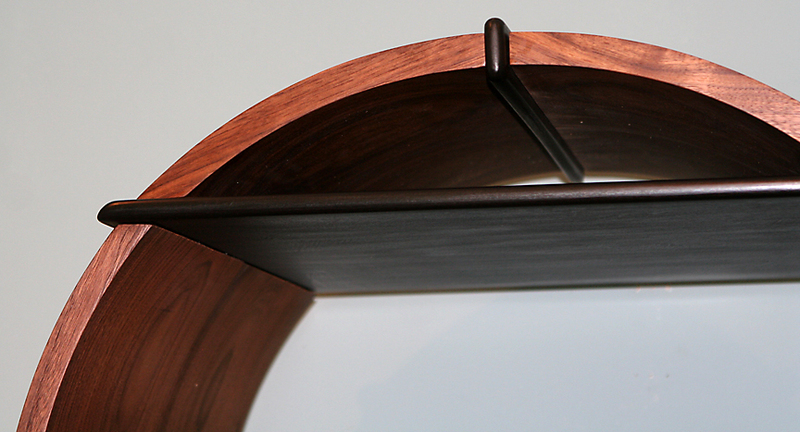 I am very pleased with the look and feel. 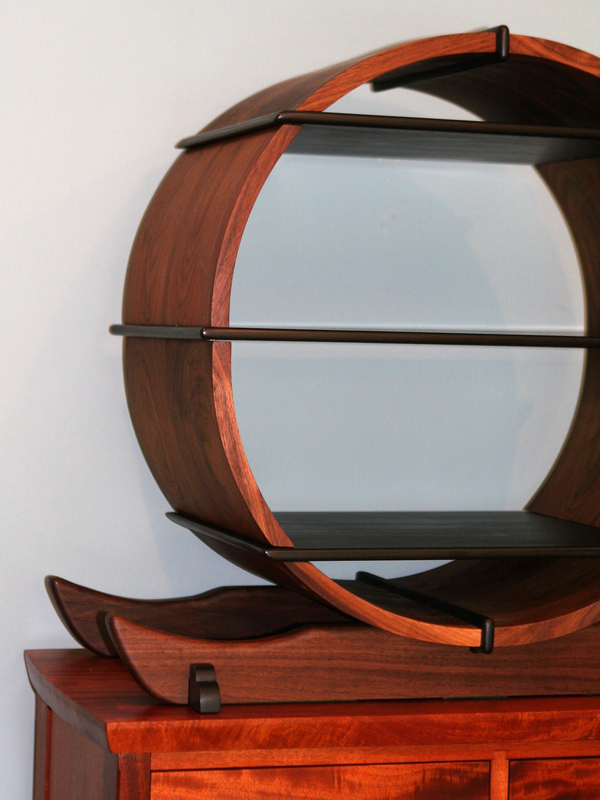 The walnut and black milk-painted poplar create a luxurious richness. 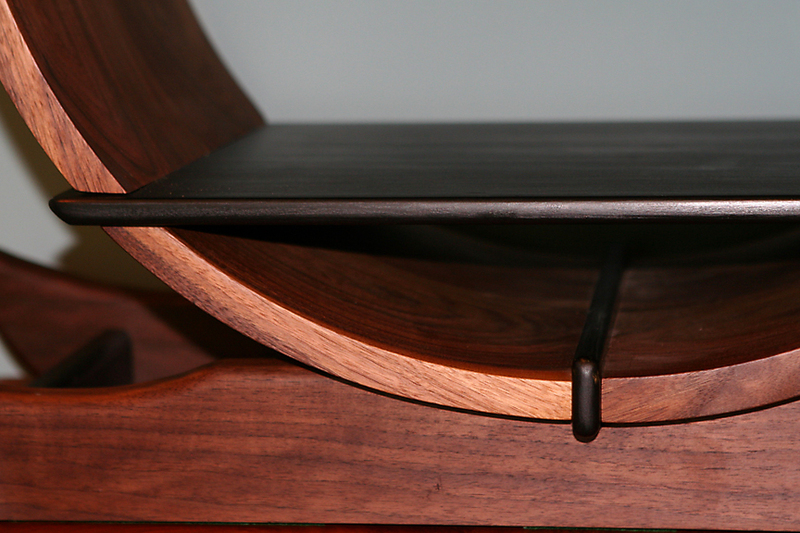 Soft/round sections contrast well with some crisp edges both on the shelf and its supports. 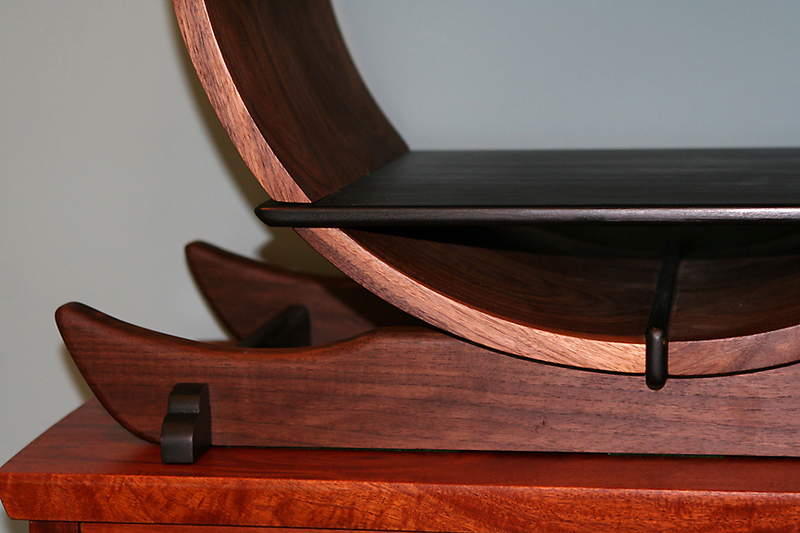 The supports are not glued as I will create a variation of the walnut horizontal pieces. I expect that will create a much different reaction. I do not have a timeline on that exercise. 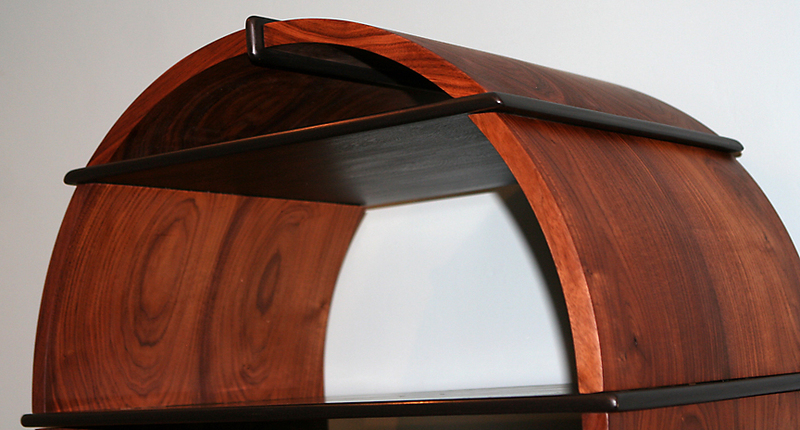 I will do an extended post mortem over a period of time before attempting a stronger execution of this project. Perhaps some day you will find this version at a garage sale near you.